Born in Chinchilla, Australia, in 1951, Jean Kent grew up in rural Queensland, mainly on the Darling Downs and in Toowoomba. She published her first poems in a literary magazine in 1970, while she was a student at the University of Queensland. 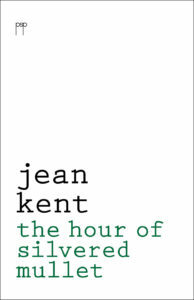 Since completing an Arts Degree (majoring in psychology) in 1971, she has alternated between a writing life and paid employment in a variety of jobs, ranging from lift-driving and hand-painting clothes to vocational guidance, educational guidance of disabled children, counselling of students and staff in TAFE colleges and, most recently, teaching creative writing.Jean Kent has published four books of poetry: Verandahs (Hale and Iremonger, 1990; republished by Picaro Press, 2009), Practising Breathing (Hale and Iremonger, 1991), The Satin Bowerbird (Hale and Iremonger, 1998) and Travelling with the Wrong Phrasebooks (Pitt Street Poetry, 2012). The Spaghetti Maker, a chapbook of selected poems, was published by Picaro Press in 2002. 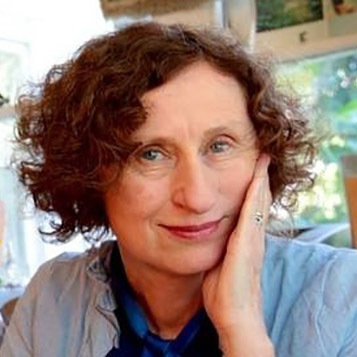 Her poems and stories have also been widely published in literary journals in Australia and overseas.Major awards she has received for her writing include the 1988 National Library Poetry Prize (joint-winner), the 1999 Josephine Ulrick Poetry Prize, the 2003 Somerset National Poetry Prize and the 2009 Dorothy Porter Prize. She was awarded joint second prize for the 1997 Newcastle Poetry Prize and was a runner-up for the 2001 Josephine Ulrick Prize.Jean’s first book Verandahs won both the Anne Elder Prize and the Dame Mary Gilmore Award, and was short-listed for the 1991 NSW State Literary Awards. The Satin Bowerbird was awarded the 1998 Wesley Michel Wright Prize. 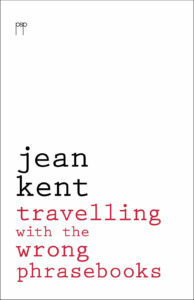 The manuscript of her fourth collection Travelling with the Wrong Phrasebooks was highly commended for the 2008 ACT Alec Bolton prize. She has judged several major poetry prizes including the NSW Premier’s Award and the Newcastle Poetry Prize. The Language of Light, t selection of her poetry translated into Chinese was published by Flying Island Books in 2013. In 2014 she was co-editor with Kit Kelen of the anthology A Slow Combusting Hymn: Poetry from and about Newcastle and the Hunter Region (ASM, Cerberus Press). Her most recent collection The Hour of Silvered Mullet was published by Pitt Street Poetry in March 2015. 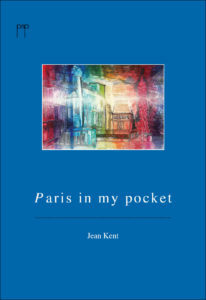 Jean Kent has received several fellowships and writer’s grants from the Literature Board of the Australia Council. Most recently, she was awarded a six months residency during 2011 at its Keesing Studio in the Cité Internationale des Arts, Paris. Her more usual home is at Lake Macquarie, near Newcastle in New South Wales.